Home > 2015 > Campaign > A Christmas Gift from DARTSLIVE! A Christmas Gift from DARTSLIVE! 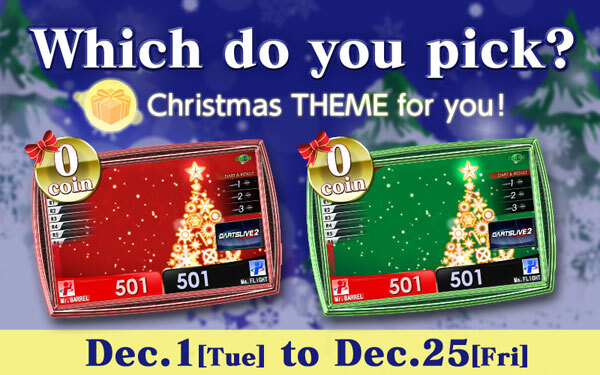 We have prepared Christmas DARTSLIVE THEME specially for you! This Christmas THEME will be yours for 0 Coin! *Select it from “THEME” at the top of the member page. Decorate your game screen with this special THEME for this Christmas season!